It seems like a while since I’ve written an article on Sai humour, so here I am with part seven of this most intriguing of subjects. On this occasion I’m going to share two gems concerning the American devotee, Dr John Hislop and a personal experience that happened no more than a few hours before writing this post. Dr John Hislop was one of Swami’s closest devotees for many years until he departed this Earth in August 1995. In 1973 Hislop accompanied Baba and some students on a trip to Bandipur forest where they spent Shivarathri. It was during this trip Baba performed one of his most famous miracles ever, materializing a crucifix for Hislop. When Baba performed this miracle the crucifix took a second or two to materialize instead of the usual nano second. This prompted Swami to issue a tongue-in-cheek apology for it taking so long, adding that the reason for the delay was because the crucifix was made from some of the actual wood from the cross on which Jesus was crucified 2000 years ago. The scientist in Hislop prompted him to get it checked out on returning to the US. He gave it to a friend who was an expert in this particular field, and he confirmed that the wood was indeed around 2000 years old. Six months later Hislop returned to India and he could not hide his embarrassment when Baba, with a cheeky grin on his face, said to him “so, you didn’t believe the wood was 2000 years old until you got it tested”. On another occasion Baba materialized a ring for Hislop with an enamel picture of himself on it. After some time the enamel developed some cracks, and not wanting to wear a broken image of Swami on his finger, he tied a piece of string through the ring and wore it around his neck. When Baba asked him why he was wearing the ring around his neck Hislop replied “it’s my talisman Swami, as long as it’s on my body it reminds me to think of you whenever I’m in need of your care and protection”. Some time passed and Hislop had a miraculous escape from death. He was travelling in a taxi from Whitefield to Bangalore when a car was approaching at speed in the opposite direction. The road was not wide enough for manouvering and Hislop, in terror, closed his eyes and waited for the inevitable impact. After a few seconds he opened them again and was shocked to find that he was still travelling in the taxi with a clear road ahead. He could not figure out how the driver had managed to avoid a collision, and he was still in a state of shock when he arrived at his hotel. When Baba saw him the next morning, with a hint of sarcasm and a twinkle in his eye, he said “when you were in such a grave situation yesterday you didn’t think of me did you”. But Baba’s love is boundless and he gave Hislop another ring. This next example is so funny to me, because Baba used his humour to convey a message to me via someone else’s dream. I find it so funny because it is very personal and very, very apt. Somone who is very dear to me told me this morning that Baba had come to her in a dream and that she had been face to face with him. Now Swami always said that when we dream of him it is not a dream but a visitation. I explained this to my dear friend who has only come to know of Sri Sathya Sai Baba in the last few months. She said that in the dream Baba asked her “do you know me?”. She replied, “Yes, I know you through Richard Holmes”, to which Baba replied, “ahhh the foreigner”. At first I just thought to myself that it was typical Baba and that it was one of his amusing quips. But, I should have known better. Swami never does or says anything just for the sake of it, and nothing that he ever does can be described as “typical”. A couple of hours later the penny dropped, the light bulb in my head came on and I knew exactly what he meant when he referred to me as “the foreigner”. It was extremely appropriate to my circumstances and his way of letting me know that he was aware of everything. To me it was just wonderful to know that he blessed a very dear soul with his presence and at the same time delivered a personal message to me. Oooooh that’s why I love him so! 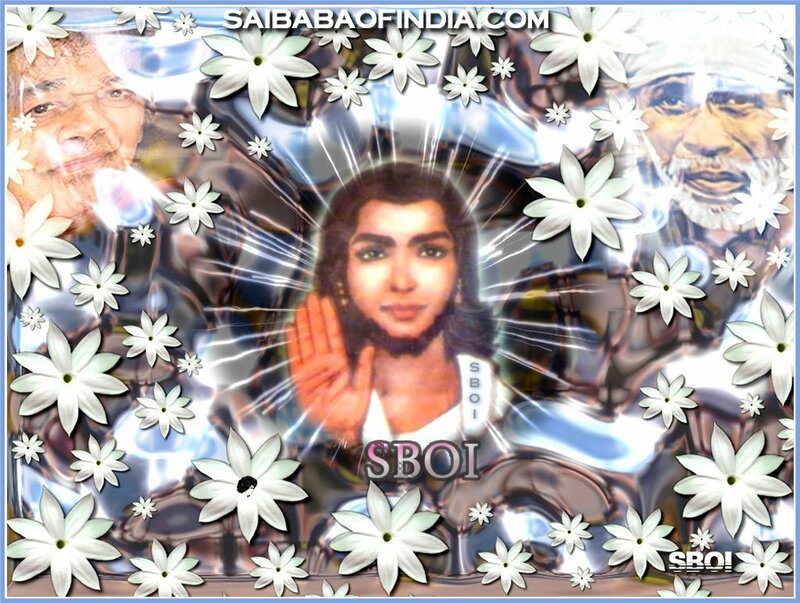 This entry was posted in From The Heart and tagged Bandipur Forest, Dr John Hislop, dream, Sai Baba, Sai Baba's crucifix miracle, Sai humour, Sathya Sai Baba, Shivarathri by Bloggin With Rich. Bookmark the permalink.